eCommerce, or sometimes referred to as eBusiness is the buying and selling of goods and services online. 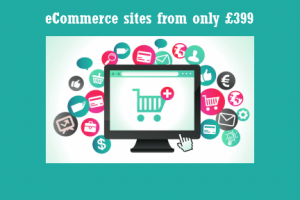 An e-commerce website enables your business to sell your product or service 24 hours a day, 7 days a week. Businesses of all sizes are looking for convenient and efficient ways of reaching their public. Our secure eCommerce websites come equipped with a Content Management System (CMS) to allow our clients manage their products, services and prices. We also provide online management tools so our clients can track online orders.